From acclaimed director Guillermo del Toro comes one of the most exciting and visually impressive adult-audience fables since THE LORD OF THE RINGS movies. Following a bloody civil war, young Ofelia enters a world of unimaginable cruelty when she moves in with her new stepfather, a tyrannical military officer. 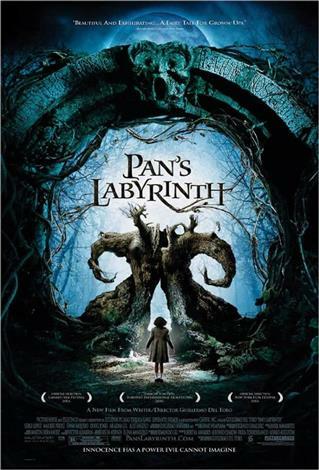 Armed with only her imagination, Ofelia discovers a mysterious labyrinth and meets a faun who sets her on a path to saving herself and her ailing mother. Soon, the line between fantasy and reality begins to blur, and before Ofelia can turn back, she finds herself at the center of the ferocious battle between Good and Evil.